What follows is my contribution to a debate organized as part of “Open UBC,” itself the university’s contribution to “Open Access Week”. In the discussion that followed, another contributor to the debate characterized my talk as a series of “ad hominems” lacking substance and “besmirching” those who “stay up late to balance the university’s budget” and so ensure I am paid. I leave it to the reader to decide whether any of the argument is ad hominem, what substance it may have, and whether anyone is “besmirched.” But I do find it worrisome that disagreement and debate should be stifled in the name of civility or respect for senior administration. Let me begin by setting one thing straight. In the publicity for this debate, I am described as “a vocal critic of the current model of learning and assessment common in Massive Open Online Courses (MOOCs), especially for the Humanities.” But I want to emphasize that I have nothing against MOOCs per se. More particularly, I have nothing against courses that are massive, open, and/or online. Most of the courses that I myself teach are both open and have a large online component, and some of them are also massive: Arts One Open, for instance, a course that I helped to pioneer (along with Christina Hendricks and others) has had over 65,000 views of its videos on YouTube alone. And we have achieved that kind of reach, let me add, without spending a single dollar of the many hundreds of thousands that UBC has lavished on MOOCs and the like as part of its so-called “flexible learning initiative.” We have shown, indeed, that something very much like a MOOC can be built and achieve enormous success by leveraging the talents and commitments of ordinary faculty even in the face of official indifference or outright discouragement. So I am not someone who fears MOOCs. In fact, quite the reverse. This is true even when it comes to the mostly corporate, often for-profit ventures such as Coursera, EdX that have hi-jacked both the concept and the name of the MOOC from its home-grown, democratic, and open origins. While I have no doubts that the university (this university, the North American university, the university in general) has a thousand and one problems, as far as I am concerned the MOOC phenomenon doesn’t register even in the top hundred. Here of course (but not only here) is where I part company from much of this university’s senior administration. A year or so ago, as part of an extraordinarily fulsome introduction to a presentation by Daphe Koller, co-founder of Coursera, UBC Provost David Farrar declared that “this fundamentally challenges the university’s business model.” Again, the university can, and should, be challenged in many ways. But in itself the challenge of the MOOC is relatively insignificant. So why, then, talk and think about MOOCs at all? Well, in the first place, because any challenge to the university and its business model is welcome, even if the point of the challenge that I myself would want to make is quite different from that presented by Koller and her venture-capitalist partners. And second, because the university’s reaction to the MOOCs is so very revealing. It shows us how much is rotten in the institution and how far we still have to go before we achieve the vision of a truly open education. Two slim books in one, Vancouver author John Culbert’s first collection of fiction is a small masterpiece, a double A-Side of breath-taking ingenuity and beauty. The Purgatory Press presents itself as the catalogue of a defunct publishing house. 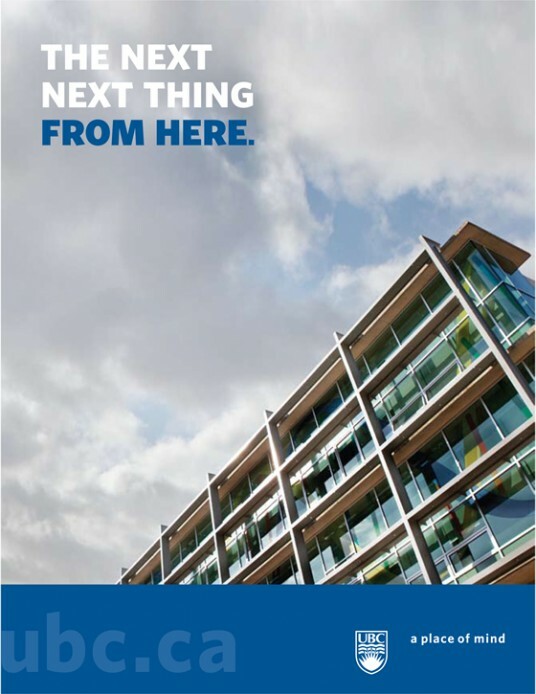 But this is no ordinary catalogue–and no ordinary publisher. Each imaginary book is described at length with a delicate appreciation that aims less to sell us a product than to entice us into another world, a world glimpsed through the act of reading. Appropriately, many of the works described are critical appreciations or biographies of artists and writers who have for some reason been neglected or fallen out of favour after a brief moment in the sun. The critic’s task is to rescue them from what would otherwise be oblivion, from the condescension of ignorance or the judgement that these are merely aesthetic dead ends. Likewise, the catalogue aims to pique our interest in arcane research and lives devoted to perhaps useless erudition. But we know that this task has already failed: the Press is “ceasing operations.” Which leaves its authors and their books in the limbo of the backlist, an afterlife from which they may or may not be redeemed. The aesthetic and intellectual experiments covered by the catalogue provide flashes of mystery and illumination: bizarre endeavours whose secret key may or may not be revealed by the texts that describe them, or which may or may not hide a secret at all. They include a performance artist who drives cross-country with her “left-turn signal blinking for the entire trip.” We gain only the slightest glimpse of the rationale for this project, in a brief quotation from her book Left Turn (64pp. ), which is a Kerouac-esque screed denouncing “’America’ the gluttonous, the insatiable, with endless black tongues of asphalt, every mile another neon sign touting precious ‘vacancy.’ And very minute another good citizen tells me I’m not turning left” (9). Then there is Eric Radiswill’s Masks of the Ceremony (244pp. ), the biography of an anthropologist who, studying the potlatch ceremonies of the Northwest Coast, apparently sacrifices his own work in sympathy, making “a concerted effort to eradicate his history among the First Nations” (36). Secure in his tenured professorship, he appears to be nothing more than “academic dead wood, a seeming dilettante and amateur collector of native paintings, carvings, and artifacts.” Could it be that all the while he was lending “his support to the tribes’ covert ceremonies, about which he was sworn to secrecy” (40)? Meanwhile, we are told that Alice Mei Chen’s The Beaten Track (245 pp.) cuts up the prose of Hemingway’s Green Hills of Africa to produce unsettling poetry in which, for instance, the story of the tracking and shooting of an antelope is transformed into a “childhood diary that recounts the death of a beloved pet” (49); would-be readers are advised that they “may wish to have Hemingway’s original text at hand to best appreciate the perspicacity of Chen’s work of creative citation” (51). But this is a book in which the “original text” is never at hand. All we have are the traces of imagined books that in turn (we are told) claim no more than to read traces of traces. In their labyrinthine structure, their erudite mixture of fact and confabulation, their philosophical challenges, their interest in the creativity of (mis)reading, and not least in their wry, deadpan humour, these stories are more than a little reminiscent of the work of Jorge Luis Borges. And yet (ironically enough) they do not feel derivative in the slightest. Rather than dry exercises of homage or intellectual dexterity, each story is animated by a delight in the powers of imagination and the paradoxes of language, as well as gentle mockery towards those who set out to pin down meaning and arrest signification. One story tells of the posthumously-published life’s work of literary scholar Harold Loomis (Legends of Memory; 383 pp. ), whose painstaking close readings of Marcel Proust and Victor Hugo, James Joyce and Henry James, reveal in great detail the mundane contexts of these authors’ master texts: “Loomis claimed to know what Joyce has eaten the day he penned the final lines of ‘The Dead’” (46). Ultimately, however, he discovers (it is suggested), buried deep within the literature he is reading, “the figure of a future researcher [. . .] who Loomis recognized, probably too late, as the figure of his own self already contained in the texts he was reading” (47). Likewise, The Purgatory Press provides a mirror to the reader: as we scan its catalogue we imagine ourselves reading the books it describes, but because those books are missing we suddenly realize ourselves alone with only blurb for company. 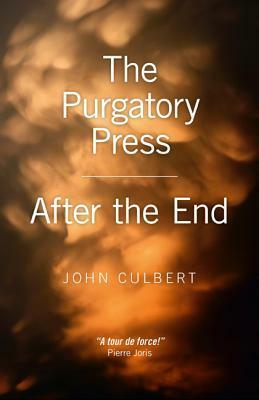 Culbert’s slim volume is well worth cracking, not so much to find resolution (in the sense of “cracking a case”), as to follow the cracks, the twists and turns of chatter and plot, the promise of meaning and its ironic inversion. This is a truly great book, which teaches us the virtues of close attention and the rewards of quiet focus on the pleasures of the text. Essentially, his pedagogical tweaks involve the use of technology to incorporate student feedback and discussion. His technique is for the lecturer to introduce a concept, then pose a question. After responses to the question have been gathered, students discuss their answers among themselves before answering the question again; the lecturer goes over the correct answer and moves on. The point is that ideally students will have taught each other during the discussion phase, as will be demonstrated by their improved responses the second time they answer the same question. Not a bad idea per se, but hardly earth-shattering. In short, Mazur argues for the inclusion of brief bouts of so-called formative assessment in what is otherwise a rather traditional teaching model. Mazur calls this “peer instruction.” He has a book on the topic. These days, more importantly, he also has a website he’d like to sell you. And so the product pitch is on. Because otherwise there was little of any substance to his presentation. Yesterday, Mazur spent the first third of his uninterrupted two-hour spiel with some fairly jokey and anecdotal critique of the lecture format as a vehicle for student learning. The second third was devoted to selling us on the peer instruction technique. And the final third was a pitch for the product itself. But Mazur had patently never heard of Freire. Nor, it seems, was he aware of any other aspect of educational theory from the past fifty years. It is not that one cannot criticize Freire (not least for a somewhat simplistic view of how banking works). But such criticism and dialogue with the past is impossible from Mazur’s position of total ignorance. An entire body of knowledge is being forgotten or suppressed. And this is rather convenient for the bevy of people who are trying to sell us their latest tweaks and gadgets. For the point is that Freire was against the banking model in part because he was against banks: his argument is a radical critique of a hierarchical social structure and its economic underpinnings. His is a “pedagogy of the oppressed” because he believes that the current educational system perpetuates inequality, and he wants to do something about it. Mazur’s aims are precisely the opposite: he wants to benefit from social stratification (leveraging his Harvard credentials) to make financial profit. A few weeks ago he sold his technology start-up to the corporate giant Pearson for somewhere between five and ten million dollars in hard cash (though he retains a position as consultant). For a company that’s less than two years old, that’s a quick buck indeed. It is insulting on many levels to sit through a presentation such as Mazur’s: insulting to anyone who has spent any time reading and thinking about education; and insulting to be treated only as potential customers for a hard sell. 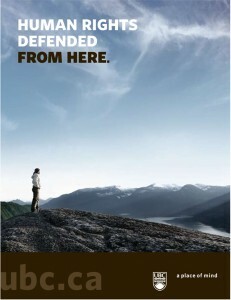 But the broader issues are more concerning still. For this is where we are at, with the current fuss about flexible education and the like. The radical educational proposals of the 1960s and 1970s are being rediscovered, now that their promise is finally realizable thanks to technological innovation. But their utopian thrust has been lost, their politics have been gutted, and everything has to be “monetized” as part of a massive round of enclosures in which for-profit start-ups and mega-corporations colonize the captive educational market. The tragedy and the scandal is that universities such as my own allow this to happen. Driven by a desire to do what Harvard (and Stanford and the like) do, they lay down the red carpet, this week to Mazur’s shallow shill, last week to the founder of Coursera. They turn their backs on a whole field of educational theory and enquiry, in favour of the latest huckster with a fancy website. And they forget entirely what the university is supposed to be about, or what in the 1960s and 1970s we thought it could be about. We have the means to make a previous generation’s utopian dreams real. But we have forgotten their vision, and want only to buy and sell the means as though it were an end of its own. 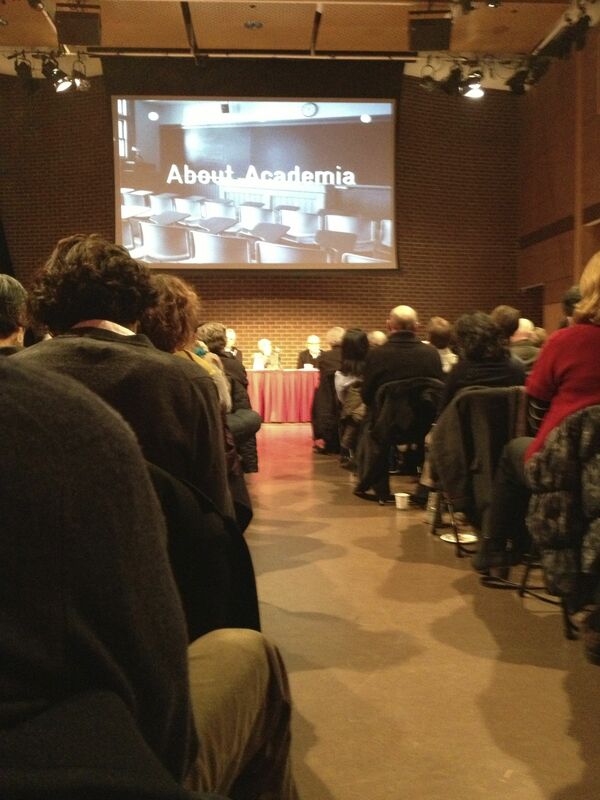 Last week I went to a panel discussion organized by the curators of Antoni Muntadas’s current exhibition at SFU’s Audain Gallery: “About Academia”. The show itself is interesting enough–though its aesthetic aspects are obscure at best–consisting as it does of a series of interviews with figures such as Carol Becker, Noam Chomsky, David Harvey, and Doris Sommer, academics mostly based in elite institutions in the US Northeast who are asked to reflect upon the politics of the university. But I have seldom seen a more incoherent and disjointed dialogue of the deaf. Panelists variously told personal anecdotes, spoke in broad platitudes, and/or simply outlined their own research interests with little or no attempt to address the supposed themes of the discussion. Especially given what a small and self-selecting subset of the university was actually represented–more or less left-leaning Humanities professors; nothing from, say, the Sciences or the student body–the fact that it seemed utterly impossible to generate any kind of conversation was little short of pathetic. Ultimately, the person who came out best was the one representative of management–a UBC Associate Dean, whose perspective was limited but pragmatic. But again, what was most of concern is that there was no conception of the university as an institution for the production, exchange, and dissemination of ideas. We saw rather a display of single-minded specialization, disciplinary fragmentation, and speech that expected no audience or response. If this is the state of academia today, then it deserves all (the neoliberal corporatization, public opprobrium or dismissal, withdrawal of state subsidy, and so on) that it gets. On a weeknight last year, my friend Alec and I found ourselves at the bar of Vancouver’s newly renovated Hotel Georgia. This small bar, in an out of the way corner, is quiet at the best of times and downright sleepy on a Tuesday night. It is a good place to talk and hear yourself think; it has no televisions, no piped music. We had some cocktails and vowed we would be back. A week or so later we did indeed return, and once again sat up at the bar where we briefly chatted to the bartender about the cocktail scene in Vancouver, asking him for suggestions of any other places he thought we might like in the city. He mentioned a couple of names and we went back to our own conversation. But just as we were leaving, the barman presented us with a sheet of hotel notepaper. 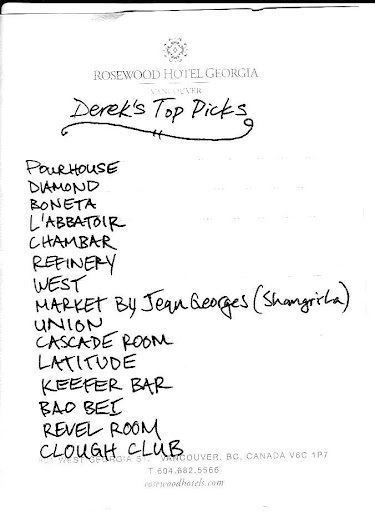 This turned out to be a list of fifteen bars and restaurants titled, with something of a flourish, “Derek’s Top Picks.” We thanked him and knew we had a mission. We discovered that the list was fairly eclectic. Some places were high-end restaurants, others were dedicated cocktail lounges, while still others had few if any pretensions. Some were busy and full of hipsters; others were quiet and laid-back. Some specialized in classic cocktails, others advertised their creativeness with new recipes and bold combinations of flavours. 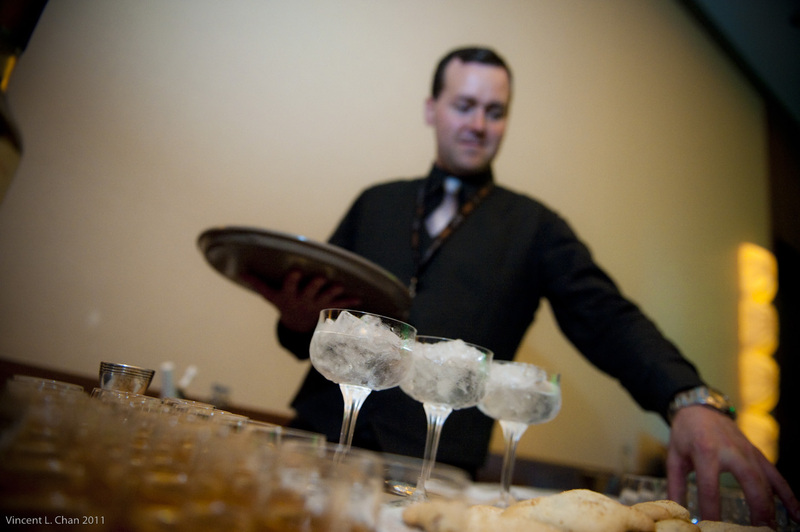 But they all, without exception, made us some great drinks. We often sat up at the bar and chatted to the barstaff. At first, we’d try to explain our mission and the fact that Derek had recommended them; everyone knew him, and bartenders often said they felt honoured to be included among his top picks. But we soon discovered we had no need to offer excuses. Cocktails are back in fashion these days, and a city like Vancouver has a vibrant community of increasingly knowledgeable mixers and consumers. Finally, we finished our mission. We had tried all fifteen of Derek’s top picks. We had a hard time ranking them, but some favourites included The Diamond (all wood and brick on a second-floor in Gastown), the Clough Club (which we went past a couple of times before noticing its understated façade), and the Keefer Bar (if it weren’t for the live music that chased us away). But it was time to report back. And so it turns out. Derek Vanderheide, the 36-year old bar manager at the 1927 Lobby Lounge, had died back in March, while we were still following the route set out in Derek’s Top Picks. Naturally enough, there is now a cocktail in his honour: a mix of bourbon, rum, orgeat syrup, bitters, and Herbsaint anise liquor. But for Alec and myself, the legacy of our very brief encounter with Derek is his list, his knowledge of the local bar scene, and his passion for cocktails, which prompted us to experience the city in new ways.